Today we moved into a slightly bigger space. It sure looks good. I have added more jewelry, Christmas Ornaments, and more! 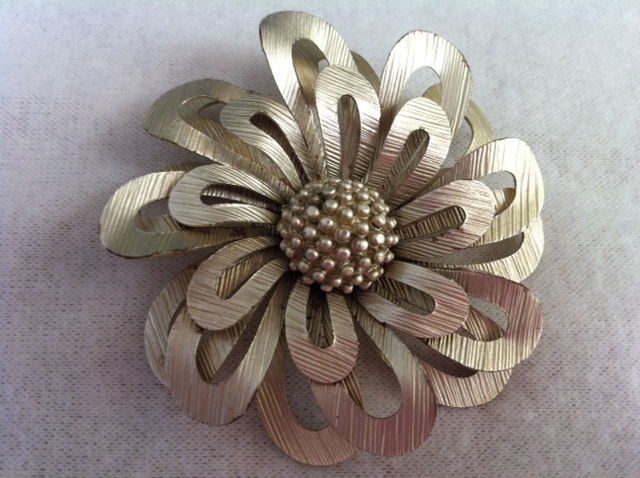 This is one of our beautiful vintage brooches! Isn’t it beautiful? It would look great on a demin jacket, little black dress, or even on your handbag!